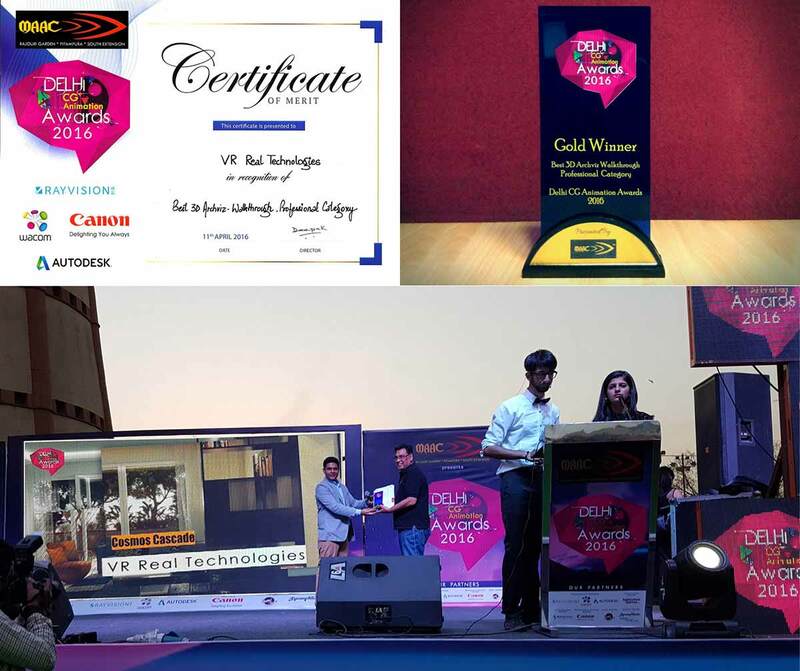 VRRT has been recognized as one of the top CG firms in India by Autodesk. 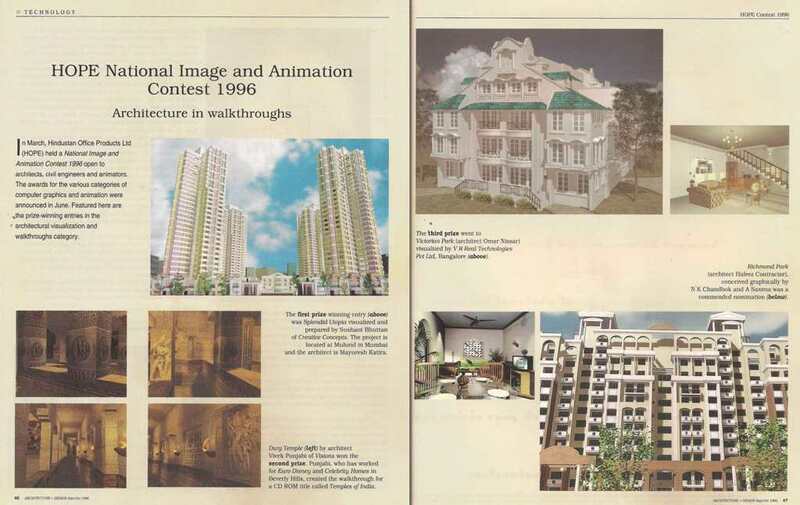 Autodesk, Inc., is a leader in 3D design, engineering and entertainment software. 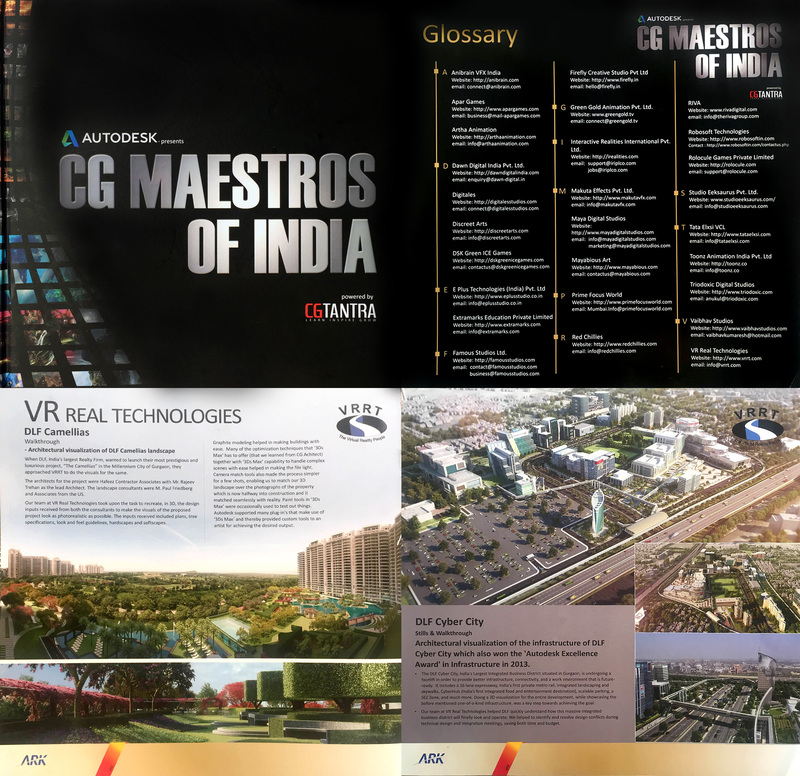 Autodesk in association with CGTantra recently released a coffee-table book titled "CG Maestros Of India", showcasing stunning visuals of path-breaking projects executed at some of the best studios in Animation, Visual Effects, Gaming and the Creative Finishing Industry. The book is a visual tale that takes you through the journey of how these Awe-Inspiring visuals were brought to life by some of the best creative minds in the fraternity. 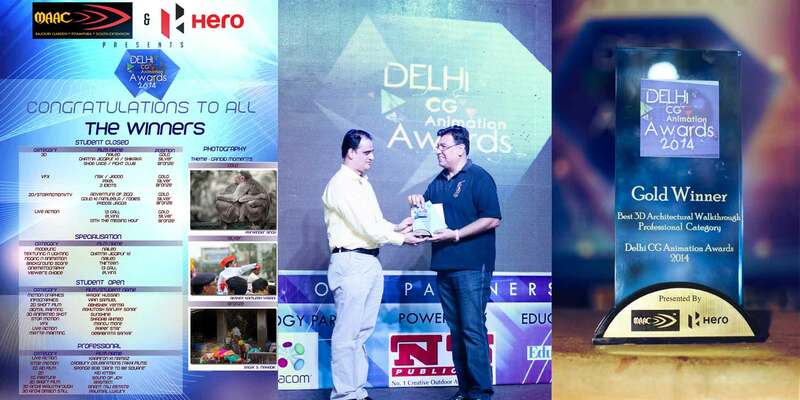 VRRT won the Best 3D Arch Viz for our work on the "Cosmos Cascade Interiors" at the Delhi CG Animation Awards 2016. VRRT won the Best 3D Arch Viz for our work on the "Anant Raj Estates" at the Delhi CG Animation Awards 2014. 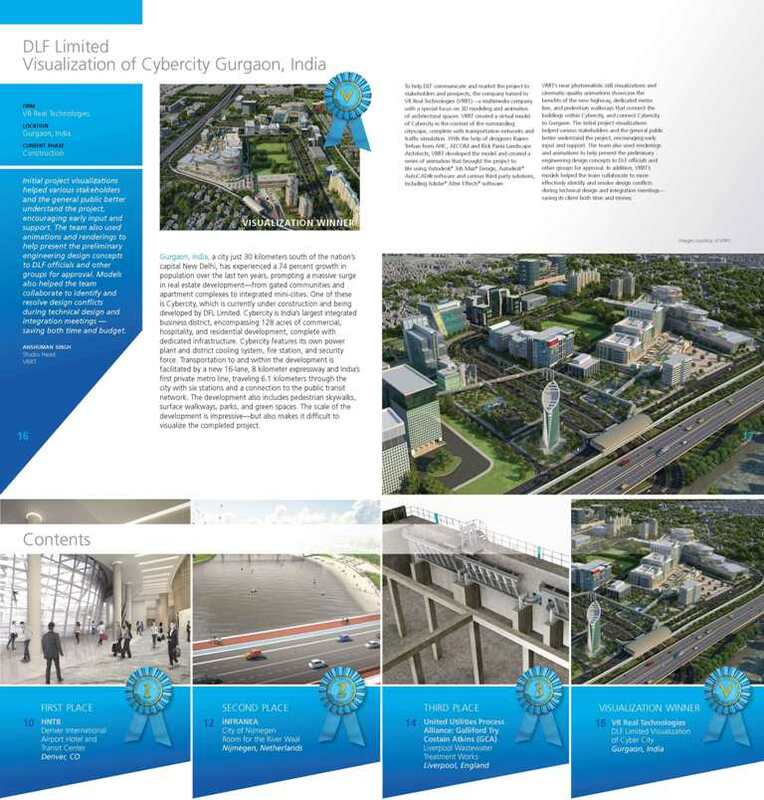 VRRT won the "Visualization Award" for the "DLF Cyber City Redevelopment" at the Autodesk Excellence in Infrastructure 2013 in Los Angeles, California. 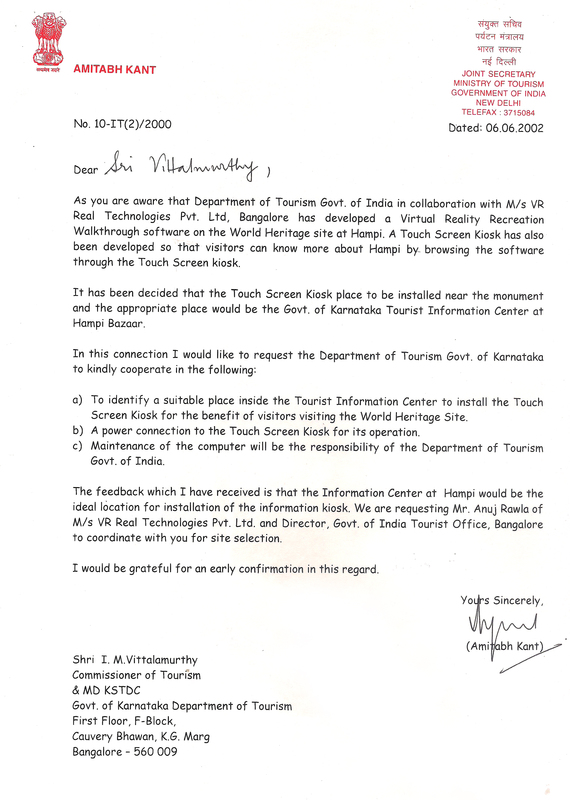 VRRT published a CD-ROM for the Department of Tourism, Govt of India on Hampi. The virtual reconstruction of Hampi was done in conjunction with leading archeologists Dr. John Fritz & Dr. George Michell. 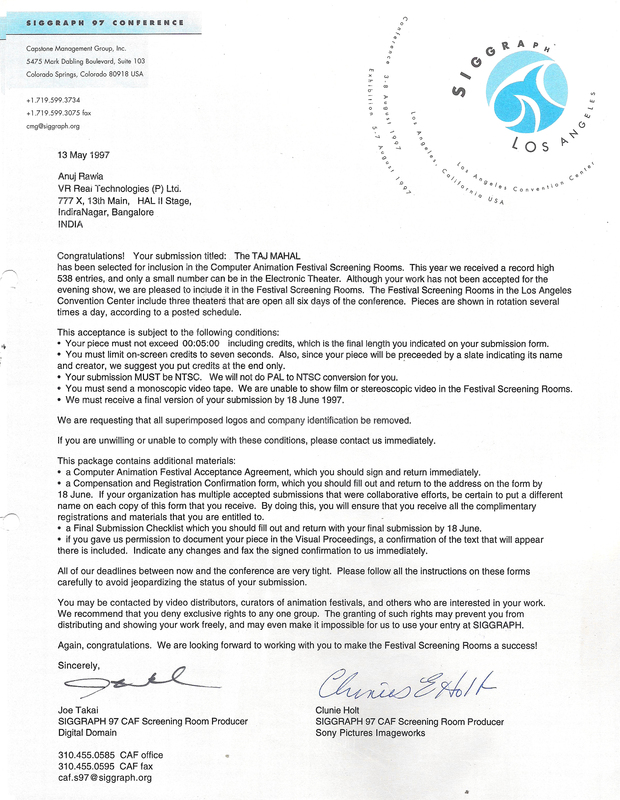 VRRT won an award for Visualization in the HOPE/AUTODESK Contest in 1997. 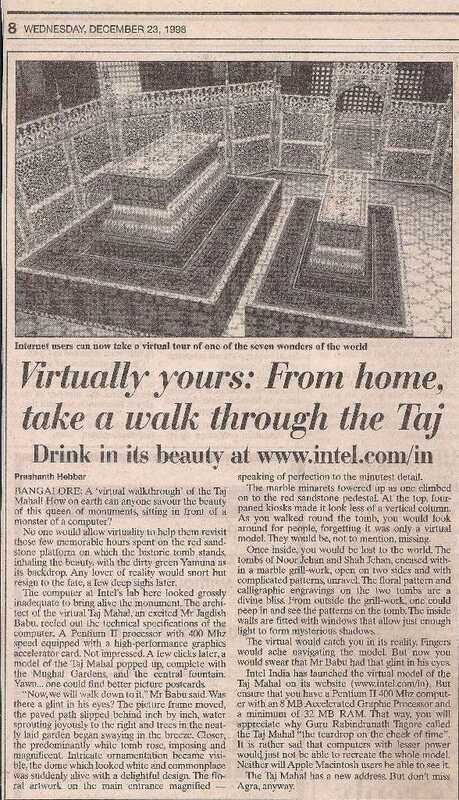 "The TAJ MAHAL" by VRRT was screened at the Los Angeles SIGGRAPH 97, the world’s largest graphics conference. It was also the ONLY full length animation to feature in 3dsMax's Show Reel for 1997. 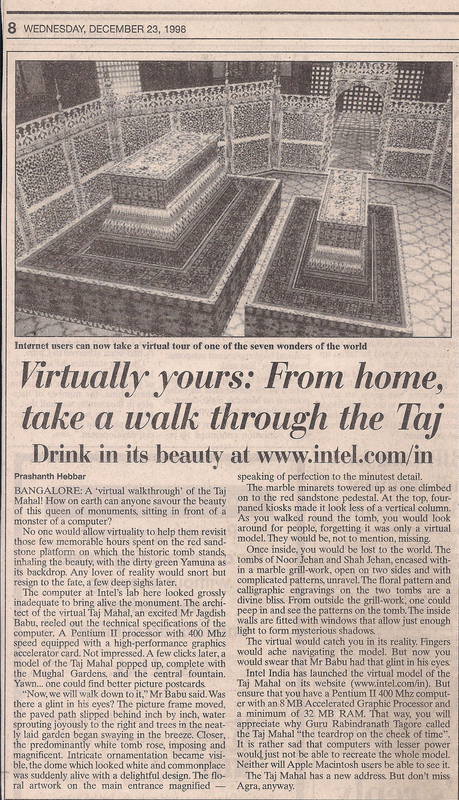 VRRT created a Real Time Walkthrough of the TAJ MAHAL which is featured at the Intel Asia Pacific Site. 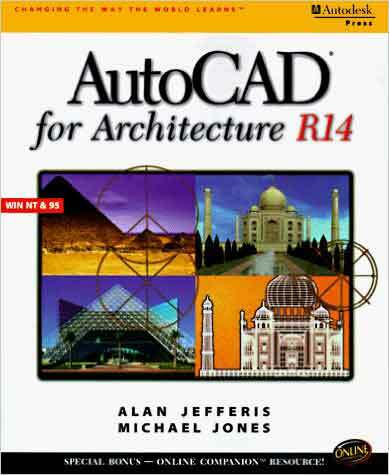 VRRT’s Computer Generated Image of the "TAJ MAHAL" has been used on the front cover of "AutoCAD 14 in Architecture" published by the Autodesk Press. 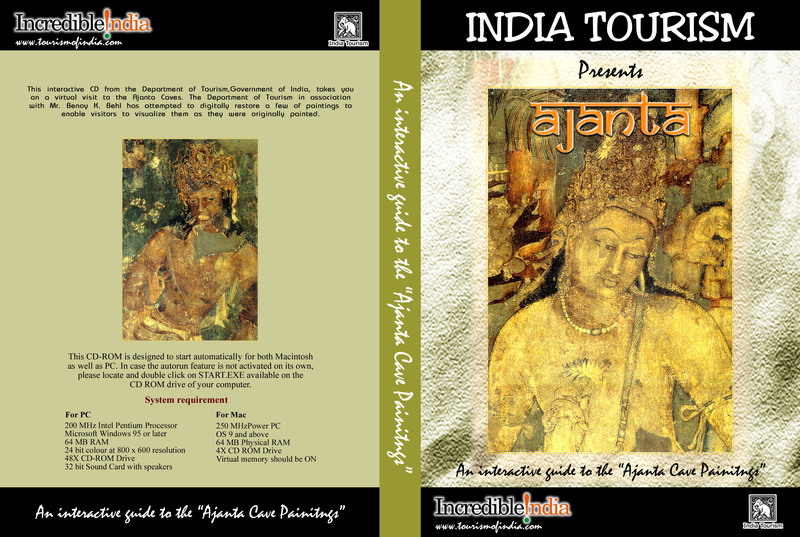 Published a CD-ROM for the Department of Tourism, Govt of India for the virtual restoration of the Ajanta Cave Paintings in conjunction with Shri Benoy Behl.